Although Apple products have received a tremendous amount of response from customers worldwide, times haven't always been smooth. The constantly growing rage of mobile devices has forced Apple to come with innovative strategies for keeping users engaged to different iOS powered gadgets including iPhones, iPads, iPod Touch etc. Decline of the BlackBerry has played an incredible role in boosting the overall productivity and demand for iPhones and iPads. Irrespective of the massive demand and use of Apple products, consumers have often complaint about facing data security issues. Well, mobile devices have always been prone to attacks by malicious cyber criminals who tend to infiltrate the business networks and steal confidential data. Through this blog, I'll be throwing some light on 10 incredibly successful apps that work as the best match for Apple device users who're bothered about the security of their crucial data that's stored in the gadget. This is one of the most popular forms of iPhone/iPad hacking wherein eventhough your device is switched off, the hacker can still gain an easy access to your information without you even being aware of it. By the time you realize that your device has been hacked, its often too late. Most of you would have never realized the fact that simple downloading of links from your emails can cause your iPhone/iPad to pick up a virus/trojan. This is the group of hackers which specifically attacks the iPhone user's availability. The sole goal of these hackers is to develop viruses and cause massive damage to the devices. In some cases, these black hat hackers also steal the data that's stored on the iPhones and iPads. Find My iPhone is the most important app you must install on your iPhone. This app can help you find your lost iPhone. You can also play a sound on the phone to find it easily. You can use any other iOS device to find your phone. There have been incidents reported by people about finding their phone using this app. Password serves as the best defense against data hackers. Strongest passwords comprise of unique and random letters, numbers and characters. LastPass is an app that integrates with your iPhone/iPad browser and keeps you signed in securely, irrespective of where you are. LastPass stores all your passwords used across devices, expecting you to remember just a single LastPass password. 1password is one of the most popular and simple apps for generating passwords, and managing them securely. This app can also store your credit card information securely. As the name suggests, Webroot SecureWeb safeguards your iPhone/iPad from any web-based security threats. With this application installed in your device, you can easily block any malicious websites, analyze search results and check what's safe and what isn't on websites including shopping portals, banking sites etc. Kaspersky Safe Browser is a browser app with many features to surf the web securely. It protects you agains common phishing sites and other online mobile frauds. As a free anti-virus and anti-spyware application, Lookout protects your iPhone and iPad in the event when it is either lost or stolen. With Lookout installed in your Apple device, you'll be able to back up all your contact data and find your stolen/lost device using the GPS system. This app will backup all your photos and call history by remotely wiping your phone. Brought to you by Symantec, Norton Mobile Security comes with incredibly effective security features including protection against theft and loss of data and the ability to backup all types of data including photos, files, folders, audio, video etc. Splash ID is an awesome password manager specially designed for iPhone users. With this app, users can store all their sensitive data including bank account numbers, user names, passwords and other information by locking it behind a master password. The best part of Splash ID is that it can randomly generate strong passwords for saving your critical information. Intego VirusBarrier is an application that scans your iPhone, iPad and iPod Touch for any malicious content. This app scans only the files(email attachments, folders etc.) that have been downloaded onto the device. 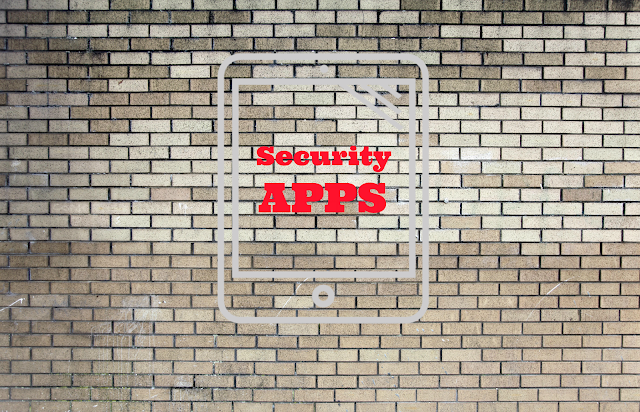 The only downside of Intego VirusBarrier is that the sandbox technology used in the iOS prevents it from being able to see what other applications are up to. Secure Vault allows you to have an added layer of protection for your photos, audio and video files. Equipped with a 9-pattern and 16-pattern lock security, you can restrict the access to media files stored in your iPhone or iPad. Secure Vault's built-in web browser allows you to surf the internet anonymously, keeping all your personal details secure. Yet another free app, MEGA provides you 50GB of free and secure cloud storage space. In other words, upon installing MEGA if you set your device to automatically upload a new picture/video then you'll have a secure back-up of all the data on an instant basis. One of the greatest advantages of MEGA is that its web version can be viewed from any browser, thereby offering you an easy access to all your vital data while on a move. WISE ID is yet another freebie that provides ease of use, convenience and encrypted storage of all your iPhone data. You can safely store all your important data such as passwords, PIN numbers, notes, credit and loyalty card details, photos etc. on your iPhone. Other impressive features available with WISE ID app include: dot pattern, face recognition and password authentication. Private Photo Vault is a nice and useful app for securing some photos on your phone. You can protect some pictures or folders with a password. If you're into the habit of sharing your iPhone or iPad then the Secure Folder app is a must-install for you. This $2 priced app creates protected areas for storing all your photos, audio, videos, notes, addresses, credit card and royalty card details and passwords. These protected areas can't be accessed by other apps that are already installed in the device. SurfEasy VPN brings the power of anonymous browsing to iOS devices using private VPN service. It also prevents ad tracking and encrypts all data. For privacy on other non iOS devices checkout open source ssl VPN softwares. Google Authenticator is a tool for google users to use two step authentication. This application works like a simple VPN token that generates some random numbers that can be used for second step in authentication. I recommend you to enable two step authentication if your gmail account contains sensitive data. With all the aforementioned apps used for protecting data stored on iPhones and iPads, it's certainly not correct to assume that Apple's iOS isn't secure. With Apple disapproving the installation of malicious, unsigned third-party security applications, it can well be affirmed that using Apple devices is definitely secure and worth embracing for an ultimate smartphone experience. Lucie Kruger is an eminent Senior Content Editor and IT consultant for Mobiers Ltd , a iPhone Apps development company company. You can also contact her, if you are looking forward to hire iPhone Apps Developer for premium services.